The exchange of blows between Israel and Iran on the Syrian front caused a late awakening of the political and media system in Israel. In a historical delay, Israel must answer the main question: what is the strategic interest – as opposed to tactical steps – regarding occurrences in this front, and what should be our view concerning the outcomes of the bloody civil war in Syria. 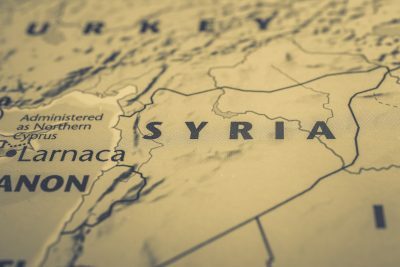 It turns out that the “laying low” policy, which saw the surgical treatment of weapons smuggling in Syria as a the only matter at hand and ignored geo-strategic moves made by Iran and Turkey, did not provide a satisfactory solution. The changes in the field throughout recent years have been to our disadvantage. We fell asleep during our watch. The buzzing of the IDF’s activity in the Syrian region should not be turning any heads. The results of this late awakening should turn to the greater picture that stands before us. It should focus on six basic insights regarding the current unfolding of events. One: Iran’s consolidation in Syria is a fact. We routinely declare that “We will not let the Iranians consolidate in Syria.” However, in this case the horses have been inside the stable for quite a while. Syria is changing its face beyond recognition. More precisely: We are not working to prevent Iran’s consolidation, but are dealing with it, belatedly, and with high potential costs. Two: The IDF’s actions – with fire and not with conceit – to mark red lines for Iran are beginning to show implications on the ground, which is a good thing. 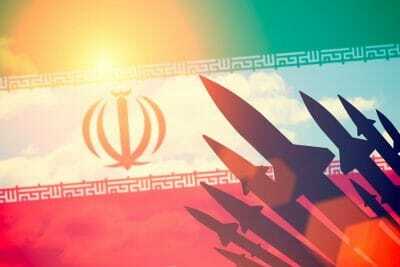 The infiltration of the UAV and the downing of the Israeli Air Force aircraft in February this year by the Iranians were met by a an Israeli response that matched the ineffectual reactions to Hamas. No deterrence, and of course, no decisive victory was made there. It seems that the last few days have calibrated the message. Three: Syria fundamentally violated the armistice agreements signed with it, under which Israel withdrew from territories in the Golan Heights and the Hermon. Article A of the May 1974 Agreement on Disengagement between Israel and Syria states: “Israel and Syria will scrupulously observe the cease-fire on land, sea and air and will refrain from all military actions against each other.” Israel’s continued silence in this context, as well as its avoidance from considering the collection of a territorial toll as a possible response to the continued Iranian-Syrian aggression, are unclear. The mere entry of Iranian forces that are directed offensively against Israel is a violation of the disengagement agreements. Israel had ignored the violations of the agreement for a long time, and is now beginning to pay the price for it. Four: Canceling the shameful JCPOA with Iran and the American recognition of Jerusalem as the capital of Israel while relocating the embassy are signs of a completely different perception of the American administration’s challenges in the region. 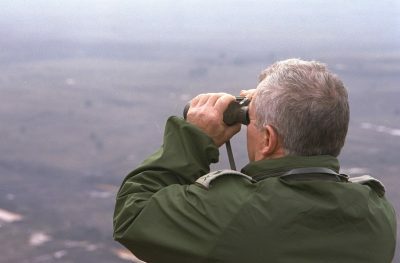 There is a need to discuss the big elephant that is still in the room: The real strategic response to Iran’s consolidation in Syria is the fear of American recognition of Israeli sovereignty over the Golan Heights. A supreme effort must be made to bring such recognition during President Trump’s shift, both as a presidential decision and as a symbolic act of Congress. It is doubtful whether the stars will ever align so perfectly again in the future. Five: The IDF’s virtuoso offensive response in Syria must be backed by a strategic change in civilian action on the Golan Heights. The Israeli government must decide on a national emergency project as a top priority in order to double the currently poor presence of Israeli population in the Golan Heights. Only by doing so will Israel convey to the world and to the Israeli public that the Golan has ceased to be an area entrusted as a deposit for peace. And not just to decide, but also to implement, and urgently. Six: An effective curbing of Iran’s spread in Syria is also linked to ensuring the continued existence of Kurdish autonomy, which now lies on 25 percent of Syria’s territory. Israeli concern for this matter will also be an appropriate response to the Turkish involvement in Gaza, Judea and Samaria, Jerusalem and the Holy Basin, as well as among Israeli Arabs. This issue must hold a high priority in the Israeli-American discourse regarding the future of Syria. The Americans must not withdraw from the Kurdish territories in Syria, abandoning them to the claws of both the Iranians and the Turkish. Israel, just as any other element perusing freedom and justice in the world, has a say there as well. One can only wish that, for a change, we would say this with a loud and clear voice.